Awww how awesome was The Gummi Bears? If like us, you can still recall the theme tune word for word...... (Gummi Bears, Bouncing here and there and everywhere. High adventure that's beyond compare. They are the Gummi Bears...) then you're in for a treat. We're bringing back the benevolent bears with our awesome tribute tees inspired by the 1985-1991 series. With a rich mythology and uber endearing characters, we're here to help you show your appreciation for the adventures of the legendary bears and their bouncing antics in true old school style. 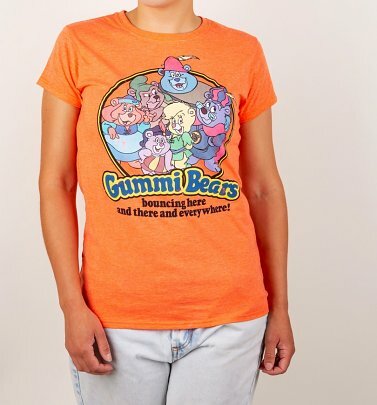 So grab your gummiberry juice and get ready to reminisce 80s kids because the Gummi Bears are back - well in T-Shirt form anyway.